Your holiday on the green Corfu is coming to its end and you have seen all those most famous sights which everybody goes to but you believe there must be something more on this large island. 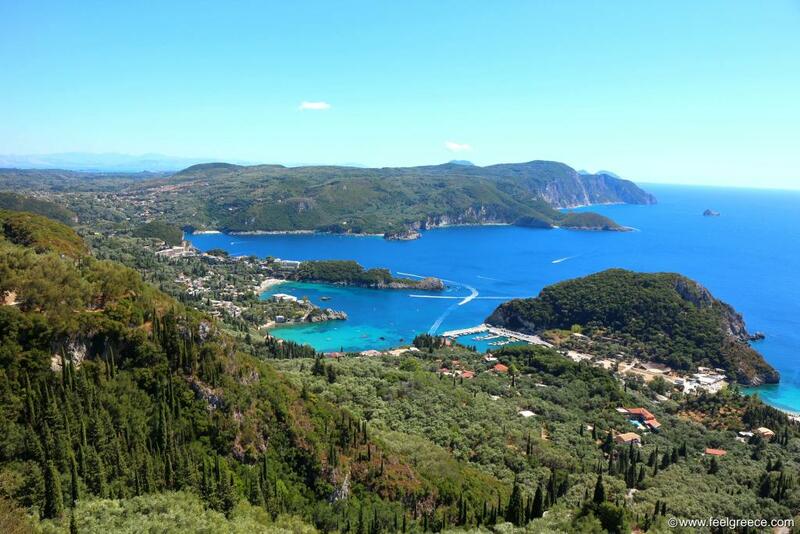 Or you are a holidaymaker planning your first trip to Corfu, looking to cover all the points of interest and trying not to miss anything that you will come to know when back home. Or you want to escape the crowds gathering at the top spots but still visit something worth to see. If you recognize yourself in any of the above, Corfu is rich in such places to explore and for sure the ones mentioned here are not all of them but the main problem is time limit. Corfu is large and not easy to see in a few days or a week, as the case usually is, traveling also takes time especially in the north. And since you have plenty of things to do apart from sightseeing (like sunbathing on any of the wonderful beaches, discovering the authentic inland villages, eating traditional meals at the tavernas or boat cruising), probably you need to prioritize your list of sights to check out or visit the island more than once. Here we suggest you some places which emphasize not on historical significance but on beautiful nature and striking views pleasing to your eyes. 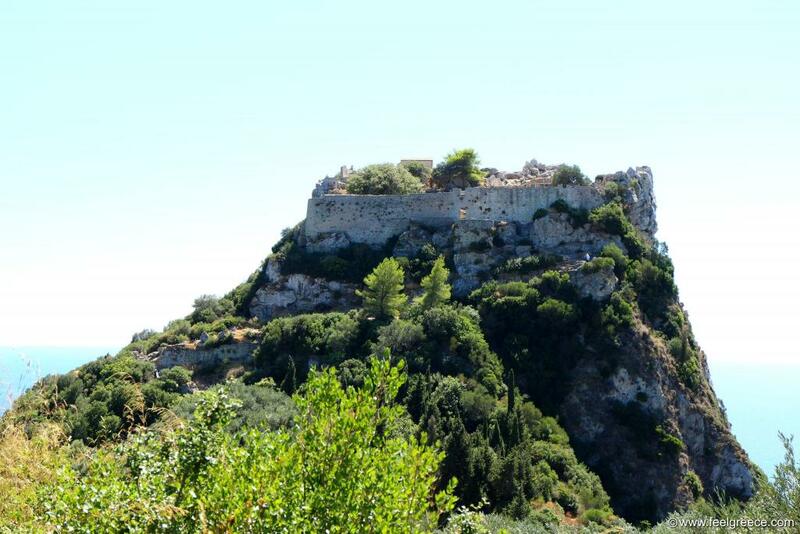 The imposing castle or what has left from it rises up on a high rock 305 m above the sea near Paleokastritsa and the inland village of Krini. It needs some climbing up but the view revealed from the top is more impressive than the castle itself - unrestricted 360-degree panorama. From one side you see Paleokastritsa with the bright blue sea in all of its glamour, from the other are the green hills covering the north part of the island and in clear weather the inhabited islets of Mathraki and Othoni can also be seen. Inside Angelokastro you can see a church and ruins of garrison and graves. The rock on which the castle is built abruptly slopes down to the sea from three sides and if you have fear of heights, you`d better not look down. Bella Vista is an area near the village of Lakones, above Paleokastritsa. The view from Bella Vista is rated among the top sea views of the Mediterranean and it overlooks the whole coast around Paleokastritsa and its bay, including the popular monastery. The place is not marked in any way, there is just a wider lay-by along the narrow road going to Krini but you can have a glimpse of the view as soon as you pass the last houses of Lakones. The good thing about Bella Vista is there are a few cafes and restaurants which allow you to enjoy the view while drinking/eating and no need to hurry up. The road to Lakones is narrow and some turns are hairpin, so slow down if you a see a bus coming from the opposite direction. 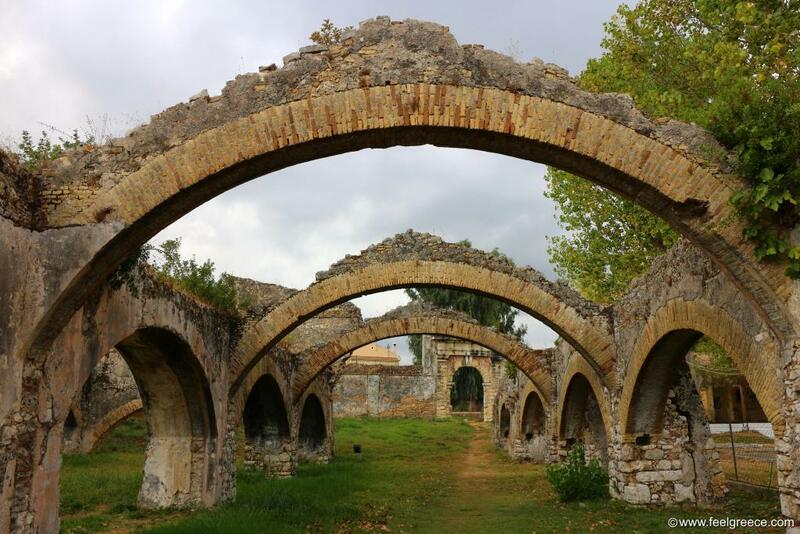 The ruins of a Venetian shipyard from 18 century can be visited near Gouvia and its marina. The solid arches and walls are in very good condition, just the roof is missing. Can be combined with a visit of Ipapandi Church, the mini copy of Vlacherna Monastery, which is seen from the shipyard. Cape Drastis is the most northwesternmost point of Corfu and good to visit when the weather is calm and there are no waves. It has the terraced-like yellowish rock formations typical for the entire area from Sidari to Peroulades, with a few tiny beaches between them. The cape can be reached by boat to rent but if you want to just have a glimpse of it from above, you can follow the narrow dirt road which starts from the outskirts of Peroulades. This is a scenic double beach close to Afionas village, with turquoise color of the sea in contrast to the surrounding green hills. Porto Timoni has historical significance, too, because in antiquity there was a fortress with ancient harbor at this place. 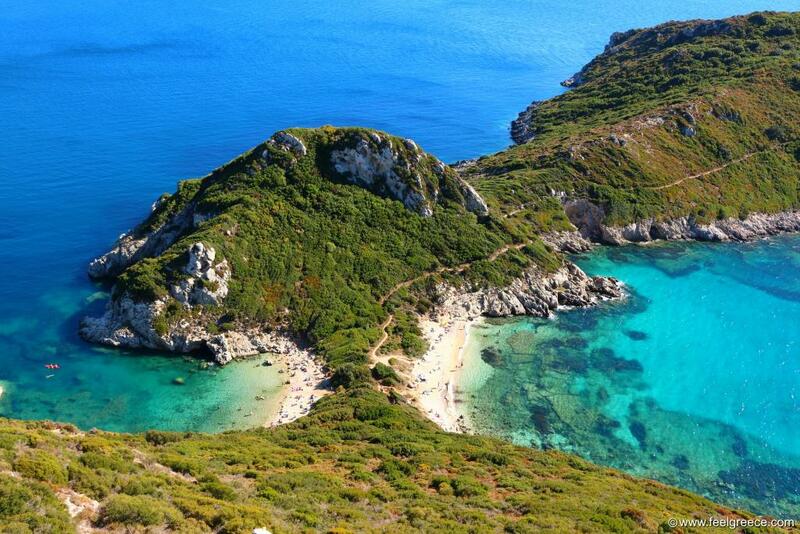 The continuation of the twin beach is cape Akra Arilla where evidences of the past have been found. In order to reach it, however, you have to take a hiking trail and walk for 30-40 minutes. You can also visit it by boat or pedalo from the nearby Agios Goergios - North and Arillas but thus you will not have the opportunity to see it as shown here.